Over 30 years' experience designing and crafting inspired spaces. If you can DREAM IT, we can BUILD IT! We have a state-of-the-art Virtual Room Builder in store so you can see what your dream kitchen will look like! Established in 1989, G&B Woodcraft Ltd. has been dedicated in creating fine craftsmanship for over the past 29 years, and has grown to become a well known reputable company within the Lower Mainland. Lovelle Design Centre is a one stop shop for your home interior finishing. Wholesaler & Manufacturer. Our quality and work is backed by our 100% satisfaction guarantee. Pentco is one of the largest cabinet door manufacturers & distributors in Western Canada. They have been producing industry leading products since 1979. 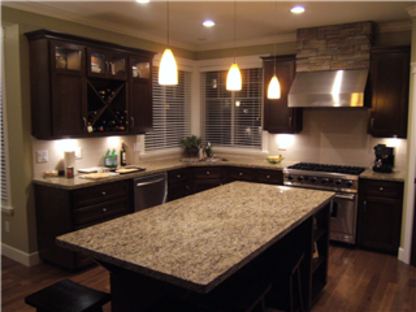 Welcome to Custom Kitchens where we specialize in Residential and Commercial, whether its Bathrooms, Kitchens or Offices. Realize your vision with our remodelling services. 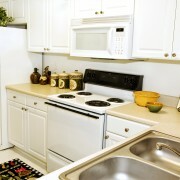 We are a one stop shop to manufacture and install all of your cabinet needs. What types of materials can I use for my kitchen cabinets? The heart of every home is its kitchen – so what better way to show it off than with sturdy and beautiful kitchen cabinets? 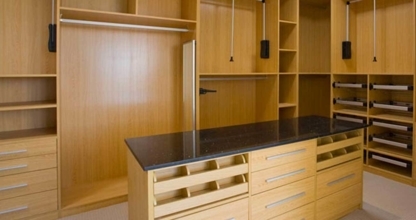 Faced with a plethora of kitchen cabinet design options ranging from French country to ultra Soho modern, going out to buy kitchen cabinets can seem more like dealing with a difficult life challenge (especially when trying to match your kitchen furniture) than with a fun decorating decision. 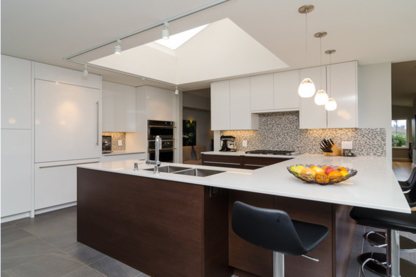 Plan your budget: When browsing in your favourite home improvement store, keep in mind that kitchen cabinets can take up to 50 per cent of your building or renovation budget. 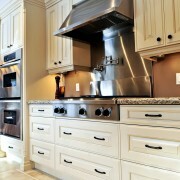 Things to consider when shopping for kitchen cabinets are drawer size, construction, wood type and the finish. 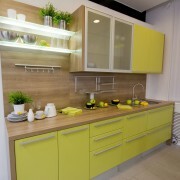 As a general rule, the strongest part of the kitchen cabinet should be its box – the rest is decorative. Know what you’re getting: There are three types of the kitchen cabinets available in the market; Stock (kitchen cabinets you typically find in home improvement stores), semi-stock (odd size custom kitchen cabinets like racks or pantries that blend in with your current set) and custom kitchen cabinets (in any style or any finish for when a budget isn’t an issue). The best value: The best prices for stock kitchen cabinets come during seasonal discount sales at home improvement stores. When it comes to semi-stock and custom kitchen cabinets, keep in mind that the thicker the plywood the longer the cabinet will last. 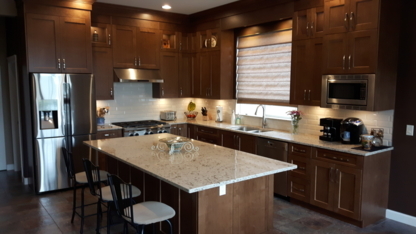 Ask your retailer or cabinet maker in Surrey BC if the kitchen cabinets you are getting are certified by a known association to withstand normal kitchen wear and tear. Get the proper tools: Make sure you have a repair kit when you get new kitchen cabinets from a retailer or a kitchen cabinet maker. Coloured wax or putty helps to cover set nails. 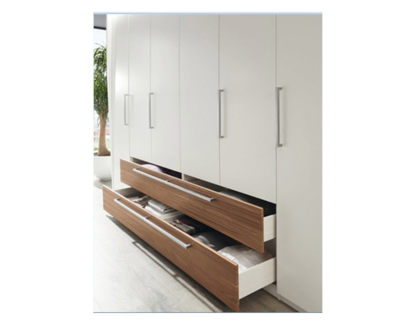 A few extra hinges and drawer-slide systems usually tend to wear out first and easily – get a few extra pieces so you can replace them.